And is etched with the Baccarat hallmark • Item# #2103984. Color: Violet (Parma). of hand blown French Baccarat crystal with stainless steel hook. • Designed for Baccarat by Savinel and Rozé, made in France. Signed Daum France. We use all new boxes and cushioning materials. Etched with the Baccarat hallmark. 4-3/4" long (excluding hook). Designed, Painted and signed by our Own INHOUSE Independent Artist, dated 2014 and numbered OOAK (One of a Kind). It is Signed, dated 2013 and marked OOAK (One of a Kind). by Fenton Collectibles. Not what you had in mind?. FENTON ART GLASS. We are located in the Heart of Ohio's Amish Country, servicing a Tourist Community. The paint on this item is PERMANENT. Sorry, NO Box. Glass Eye Studio creates each piece individually in their from molten sand in their Washington studio. Style: Violet Feather Chip. Shape: Round. PEGGY KARR glass. Fused Art Glass. Never used or. Made in USA. 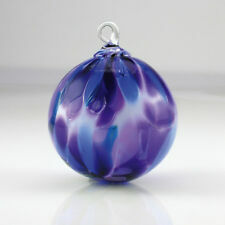 Hand Blown Art Glass Christmas Ornament Gazing Ball w/ Purple & Blue Swirl 6"
Sale is for this gorgeous pre-owned vintage hand blown purple & blue swirl glass ornament. Measures 6" tall, 16" around and has some weight to it. She's a real beauty. Much nicer up-close as photos do not capture the true beauty of this art piece. Would look beautiful on your Christmas tree this holiday season. Please ask all questions before purchasing as my sales are final. All our items come from a pet and smoke-free home. Thank you for visiting our store. It has a greengrosgrain ribbon for hanging. It is in very nice condition.CC. Nugget Glass Studio Handcrafted Purple Face Design Ornament w/ Tag 2.25" x 2.25"
STUNNING HAND BLOWN GLASS FLOWER! 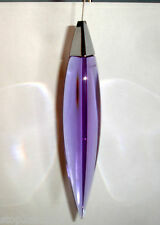 DEEP PURPLE WITH A TRANSPARENT SWIRL WHITE CENTER. BRIGHT GREEN STEM WITH MATCHING LEAVES. SIZE- with a width of 3", and a length of 15 ". 65.91mm x 52.11mm (2.6 in x 2.05 in ). Get Images that. STUNNING HAND BLOWN GLASS FLOWER! BRIGHT GREEN STEM WITH MATCHING LEAVES. ASSORTED PURPLES SWRLED WITH A TRANSPARENT BLUE CENTER. SIZE- with a width of 3", and a length of 15 ". 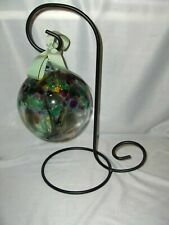 You are bidding on a brand new with tags Kitras art glass and blown ornament as seen in my pictures. The theme of this ornament is the tree of remembrance. It is 6 inches overall diameter. This particular ornament is very hard to fine. It has beautiful colors. It has been handblown and has beautiful colors and details. Please feel free to ask any questions you may have. Piece: Purple Blue Twist. Manufacturer: GLASS EYE STUDIO. China - Dinnerware Crystal & Glassware Silver & Flatware Collectibles. Canadian and international orders. U.S. Expedited. 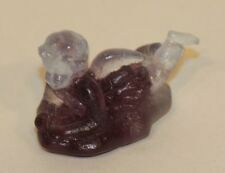 Art Glass Crystal Stained Glass Angel Purple & White Candle Signed Terry '90. She has frosted clear wings and a faceted crystal face and is signed Terry. Fish is basically flat. I can include the cord I used to take the pictures. It is elastic bead stringing cord. VTG Kitras Art Glass Hand Blown Glass Ball Ornament 6 in. Purple Turquoise Plus! Purple Turquoise Plus! Excellent condition, no scratches! Manufacturer: Kitras Art Glass Inc. Color:Blue/Purple These adorable little eggs with their sunny and bright colors will look great any egg tree or in an Easter basket. We would love to be given the opportunity to work with you to resolve any problem you may have. Kitras Art Glass. We will not send you anything broken, crushed, or otherwise destroyed. Made in Fergus Ontario Canada. 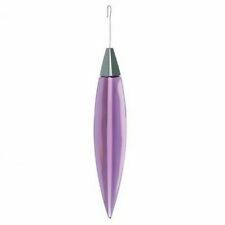 PURPLE CARNIVAL ORNAMENT IRIDESCENT CARNIVAL GLASS 4 1/2"